The Budas Brick’s own Iain Heath obviously seems to kno da wey, while simultaneously eating Tide pods and inapropriately reacting to a serious topic. If you are not sure what I am talking about, Iain has built a mashup of some of the dankest memes of January 2018. Agree with it or not, dank memes are the humour of the present day. Iain is known for his excellent character builds and always keeping up to date with the hottest trends – from popular media to memes. 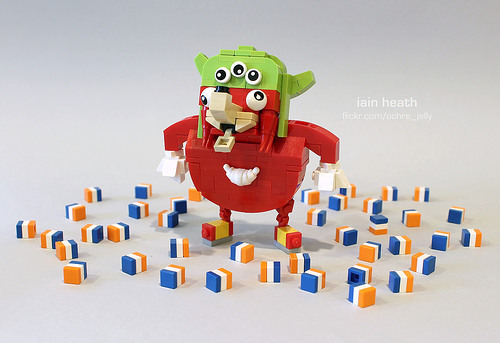 The Ugandan Knuckles figure is as close to a low-resolution 3D model as a LEGO build can be and the hat is instantly recognizable as well. While the Tide pods are built only out of a few pieces each, they are very obvious when seen accompanied by other January 2018 memes. Now that February has started though, the former memes are officially stale. And now, it is time for CPP memes to take over the internet! Even if you’re not a Snapchat user, you’ve probably been exposed to the latest Internet sensation that is the Snapchat dancing hotdog. The popular mobile chat tool recent added this seemingly harmless augmented reality feature, only for it to instantly balloon into possibly the biggest meme of 2017. 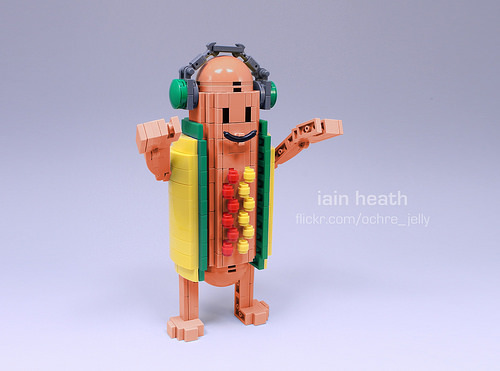 Of course, not wanting to miss this latest pop culture bandwagon, I have crafted a LEGO version of this adorable sausage for your enjoyment and/or annoyance. Because let’s be frank, the weiner takes it all – and I’m on a roll! 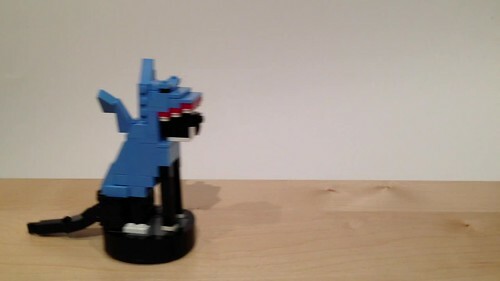 LEGO memes are in abundance, but not many of them surface more often that the idea that stepping on a LEGO brick is painful. 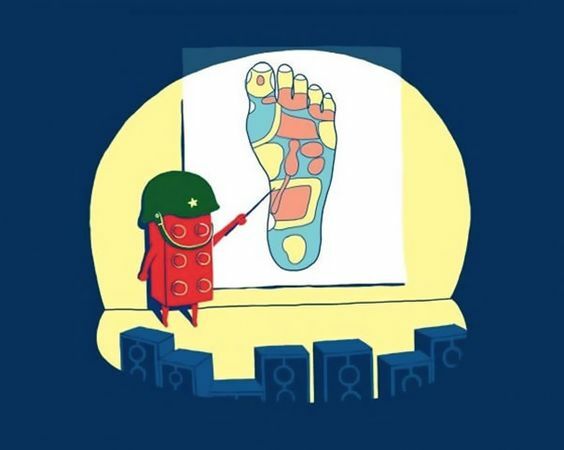 One of the best-known iterations of this meme is a comic that’s been making the rounds on the internet for years featuring a brick-general giving training to other brick-soldiers gathered around a plan of attack diagramming the human foot. 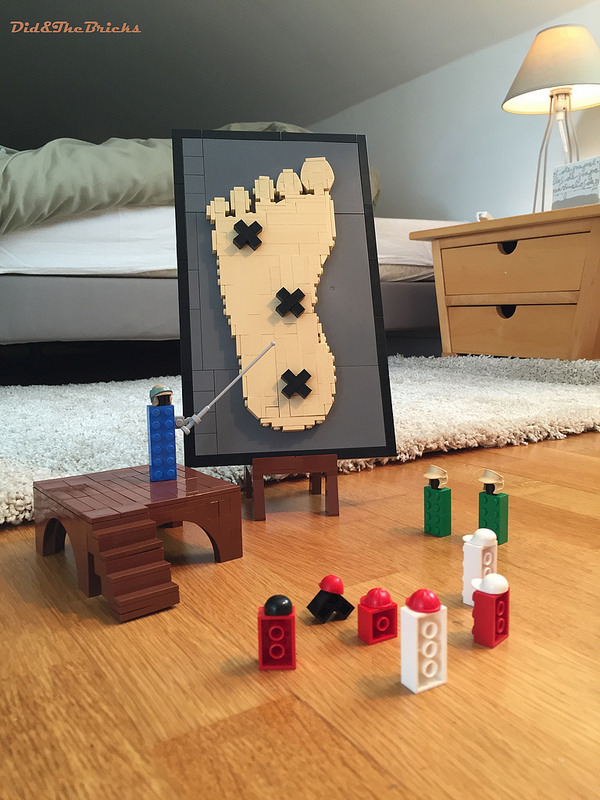 Builder Didier Burtin shows that your LEGO bricks causing great foot pain was their devious plan the whole time, with his brick-built interpretation of the meme. Didier’s build is my favorite of all the physically built versions I’ve seen, especially with the shape of the foot in the diagram. Tread carefully. 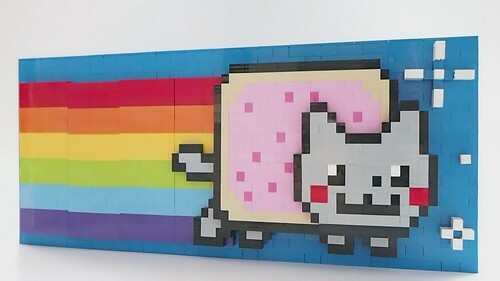 These bricks are most painful when you least expect them. The “Trash Doves” sticker set is a strange phenomenon that erupted across Facebook quite suddenly as a meme during the week of Valentines Day, starting in Thailand and soon spreading across the globe. In Thailand ‘nok’ is the word for “bird” – and is supposedly also associated with unrequited love. And now it has been transposed into brick form thanks to Wen Yeh Ng. I’m still perplexed by all this, so I’m not going to try to figure it out; I’ll just wait for the next one to come along and bewilder me! 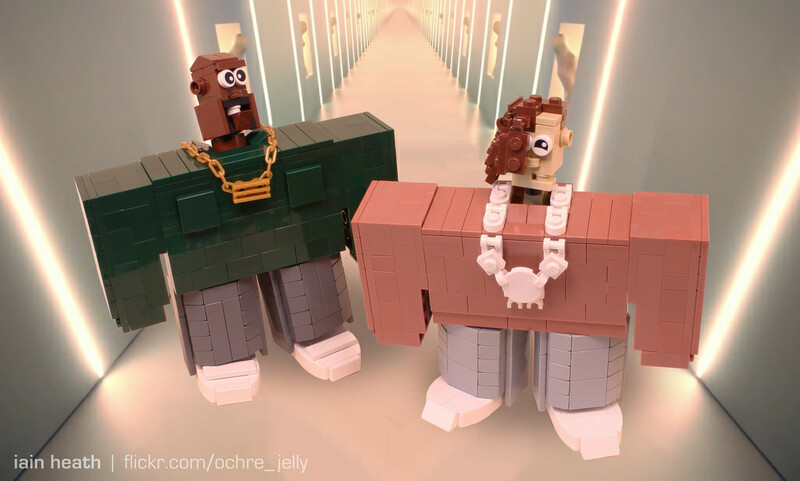 We all know that Iain Heath of The Living Brick is the master of capturing the latest moments in pop-culture history in LEGO. But I would posit that he has gone too far! Apparently, there was some sort of awards show for motion-picture musicals or something recently. Proving that the event I had never heard of before was indeed supposed to be family-centric, the daughter (age 20) of “Achy Breaky Heart” singer Billy Ray Cyrus danced while the son (age 36) of the dad from Growing Pains sang a popular song. I’m told by multiple people on the Internet that the problem was that these two children of beloved celebrity parents did not act like the pure-hearted children that they should be! I have not brought myself to watch any video footage of the atrocity inflicted on the world (on par with the worst things happening elsewhere on the planet), but I’m told that I should find the whole thing distasteful. 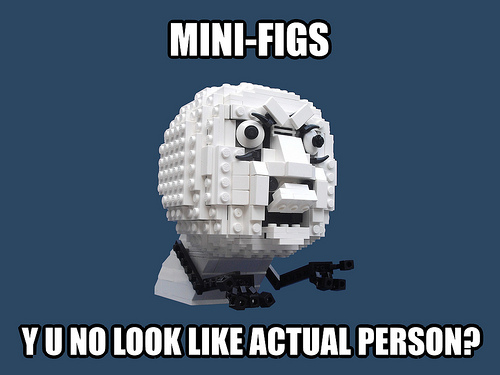 I’m shocked and saddened that an upstanding member of the LEGO building community would stoop so low. After all, these are children’s toys. Think of the children, Iain! The children! The inimitable Iain Heath, (Ochre Jelly) haz has done it again. 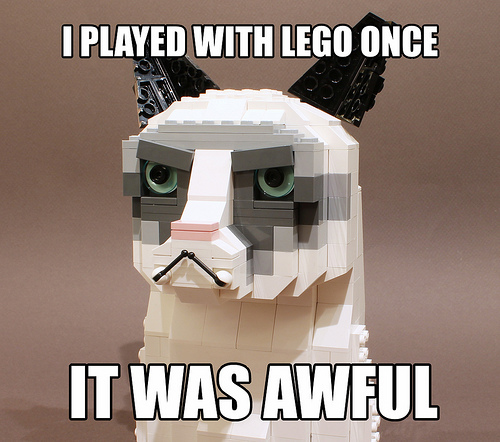 He deftly created this spot on model of Tard, the cat seen in the Grumpy Cat Meme. 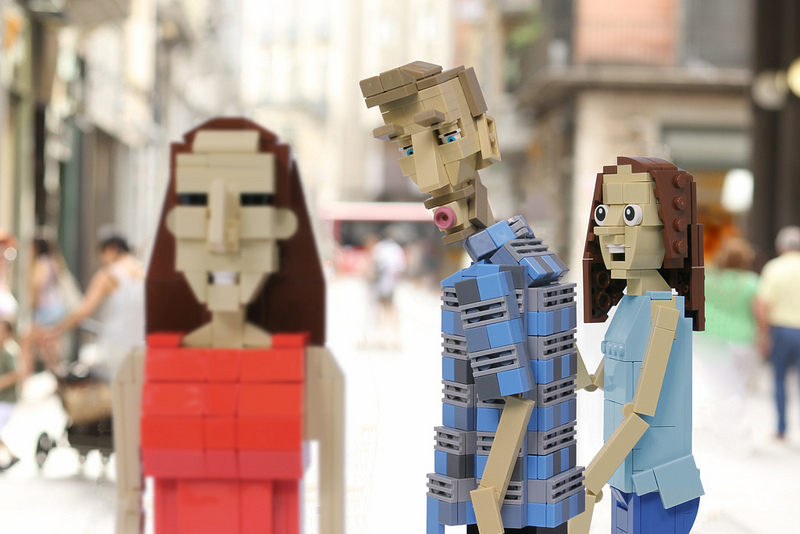 The likeness is really incredible, and not easy to pull off with bricks. Most notably, I like how he made the eyes using transparent light blue dishes. 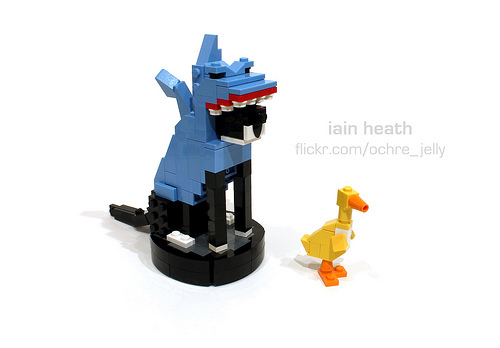 Not much explanation is needed…just that this creation by H.Y. Leung (Mr. Attacki) is awesome. Ochre Jelly, Y U no build crappy MOCs so others don’t look bad?